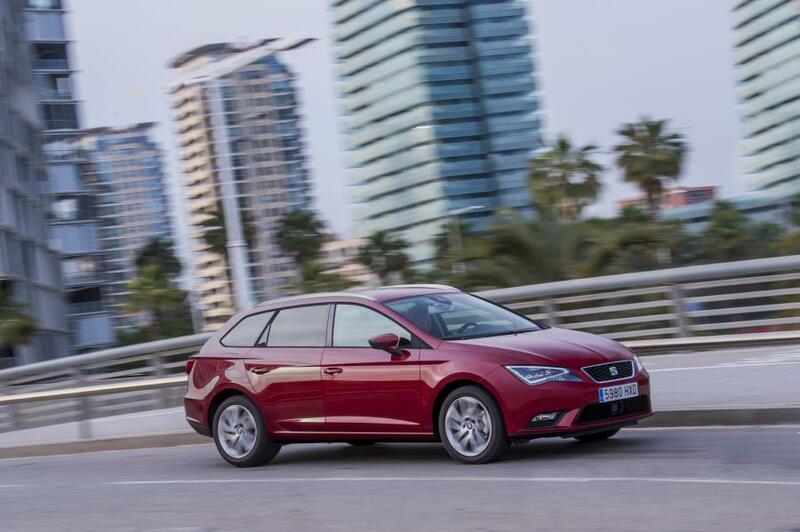 The most versatile SEAT Leon is now on the scene. With the addition of the ST 4Drive versions, the Spanish maker’s successful range now extends its offer with new models equipped with all-wheel drive. The new Leon ST 4Drive features a modern, electronically controlled Haldex coupling system that provides maximum grip on even the most unforgiving road surfaces. When you add this to the well-established sportiness, functionality, performance and efficiency the Leon ST is known for, the result is a true champion of versatility. 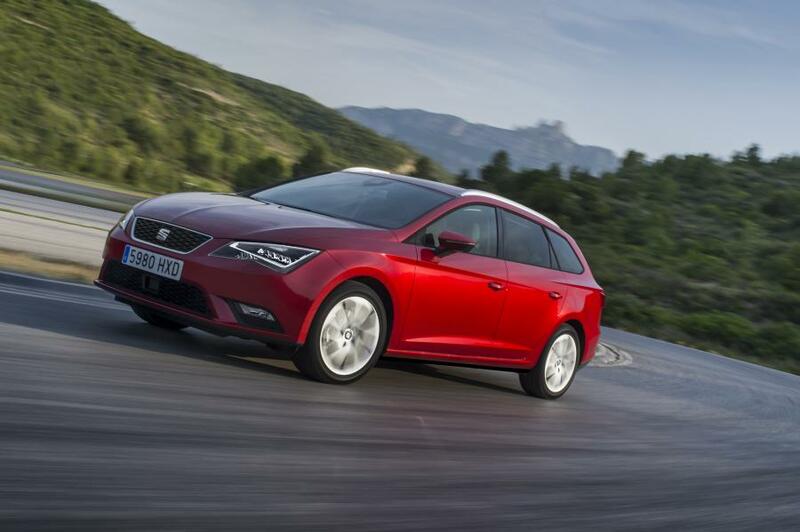 This is not the first time that a SEAT Leon features all-wheel drive capability. Back in 1999, the 1.8 20VT 4 Leon variant combined excellent performance with the added benefit of all-wheel traction. 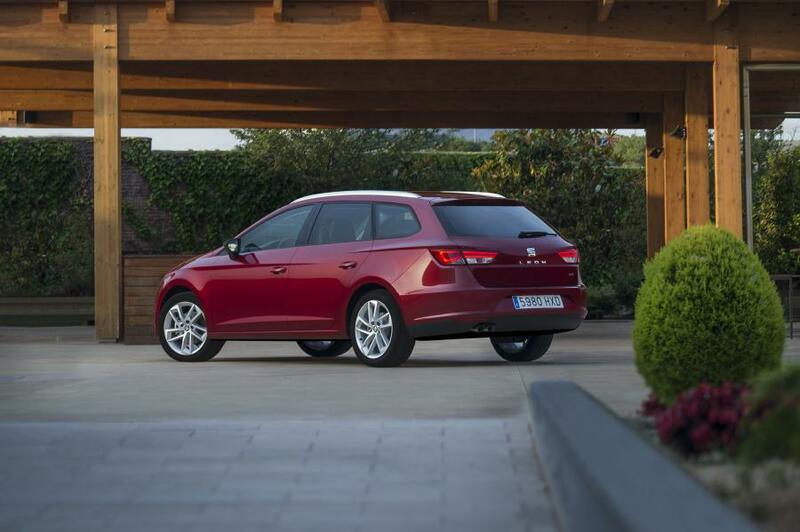 Nowadays, the most versatile ST versions of the new Leon range are equipped with the fifth generation Haldex system. It employs a hydraulic actuator and an integrated electronic control unit that is fast-acting in all driving situations for added active safety and dynamics. 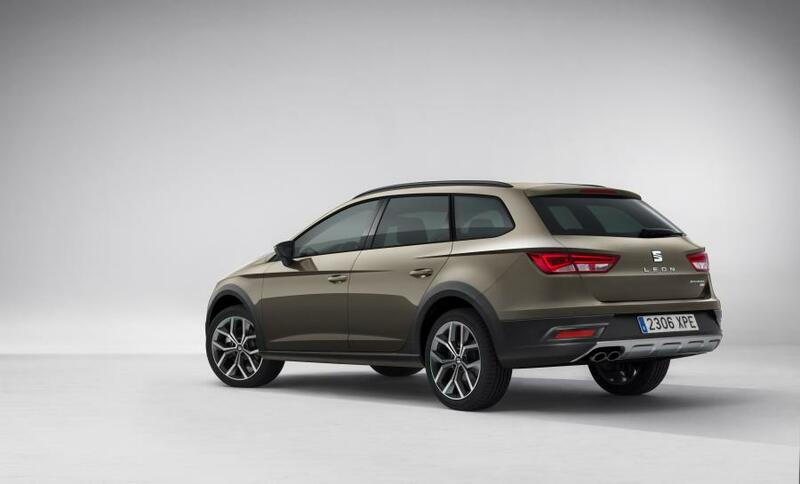 Also important is that it works in tandem with the XDS self-locking differential, which enhances traction and handling around bends, giving the new Leon ST 4Drive superior grip in all kinds of driving conditions. The four-wheel traction featured on the Leon ST 4Drive is part of the powertrain linked to two, six-speed manual TDI engines that develop 105 and 150 PS output. Both engines combine outstanding performance with astonishing efficiency. The 105 PS 1.6 TDI consumes an average of only 4.5 litres for every 100 kilometres with emissions of 119 g/km. It reaches a top speed of 187 km/h and accelerates from 0 to 100 km/h in 12 seconds. On the other hand, average fuel consumption on the 2.0 TDI engine is only 4.8 litres per 100 kilometres with emissions of 124 g/km. These figures underscore the efficiency of an all-wheel drive car that delivers exceptional performance, as it accelerates from standstill to 100 km/h in only 8.7 seconds and reaches a top speed of 211 km/h. Alongside the latest-generation TDI engines and all-wheel drive with intelligent, electronic control, the Leon ST 4Drive boasts a wide array of modern technologies that include the four-wheel EDS dynamic control system, XDS front and rear-axle transverse lock, the ESC electronic stability programme and the multi-collision brake for maximum safety. Further optional hi-tech features include full-LED headlamps, ACC adaptive cruise control with city emergency brake function, drowsiness detection and the Heading Control lane-keeping assistant. 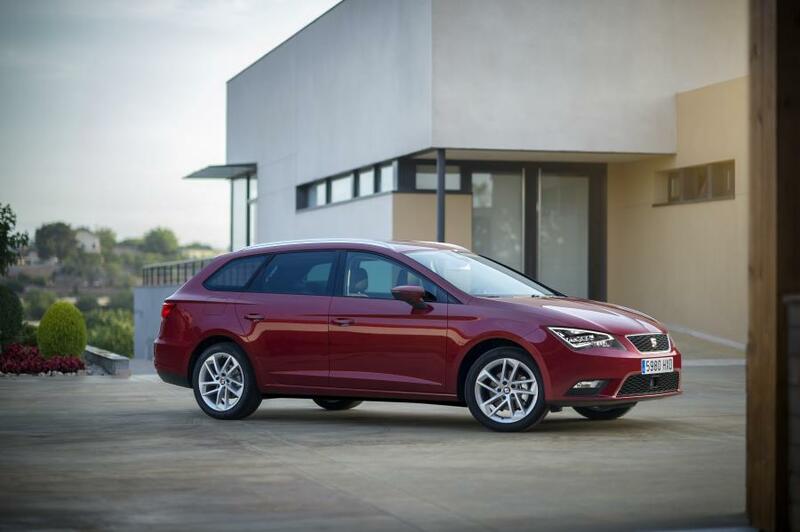 The addition of an all-wheel drive powertrain does not reduce in any way the qualities and functionality of the SEAT Leon ST, and does not even affect the tremendous load capacity of the cargo space, which remains at 587 litres that extends to 1,470 litres with the rear seats folded. On some versions the front passenger seat-back can also be folded, increasing the loading length to up to 2.67 metres. 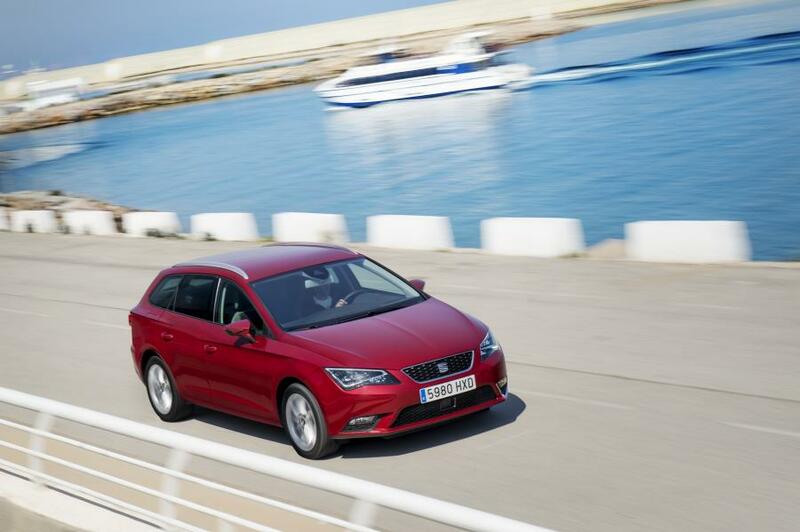 Furthermore, the new SEAT Leon ST 4Drive is also appointed with the same high level of equipment and infotainment capabilities as the rest of the range. The version powered with the 1.6 TDI engine is available with Style trim while the 2.0 TDI is available with both Style and FR equipment lines. The permanent all-wheel drive in the new Leon ST 4Drive is among the most modern and efficient systems of its kind in this segment. 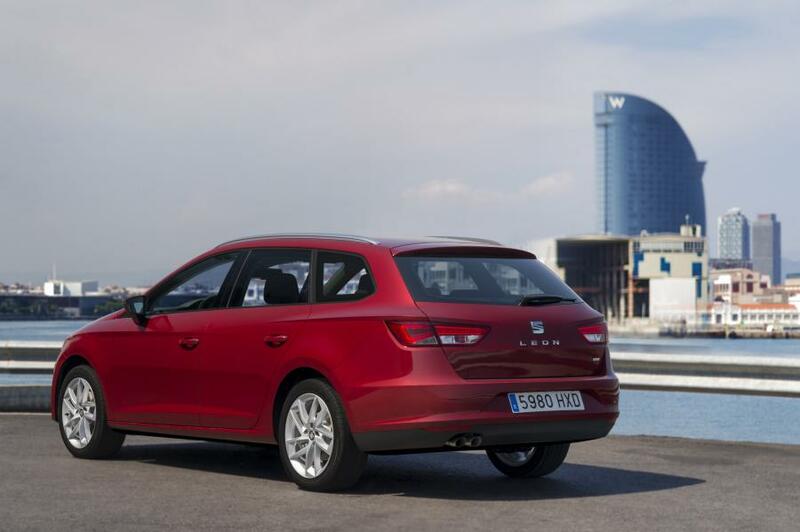 SEAT uses the fifth generation of the Haldex system, which features a newly developed multi-plate clutch with hydraulic actuation and electronic control. Together with the self-locking electronic XDS differential, the system reacts swiftly in all driving conditions. In normal operation, the clutch transmits most of the engine power to the front wheels. Should their traction decrease, the torque is diverted smoothly and in a matter of a few milliseconds to the rear, or to the wheel providing the most traction. When high starting torque or quick acceleration is required, engine torque is transferred to the rear axle, while in high gear driving, torque is delivered to the front axle to reduce fuel consumption. Furthermore, only the front axle has traction during conventional parking manoeuvres. The fifth generation Haldex coupling system works in collaboration with the electronic self-locking XDS differential. The scope of its electronics has been extended to include low grip conditions and not only acts on the front axle but on the rear as well. When negotiating a curve, the XDS transmits more traction to the outside wheels, improving traction and handling. Furthermore, in low grip conditions such as pulling away on ice or snow, Haldex and XDS deliver power to the rear axle or to the wheel with better traction. On the other hand, the electronic stability control ESC is more indulgent, made possible thanks to the electronics architecture of the new Leon, which delivers more information to the control unit. All the models feature trailer stabilisation in the ESC, which works in combination with the steering, one feature that might come in handy to drivers with this specific driving requirement. No excessive transformations were required to equip the SEAT Leon ST 4Drive with all-wheel drive, only slight modifications to the rear load floor, the underbody strut, the heat panels and the exhaust system, which in turn led to redesigning the lower rear spoiler. The capacity of the fuel tank has increased to 55 litres, providing the same considerable range as its front wheel drive siblings. 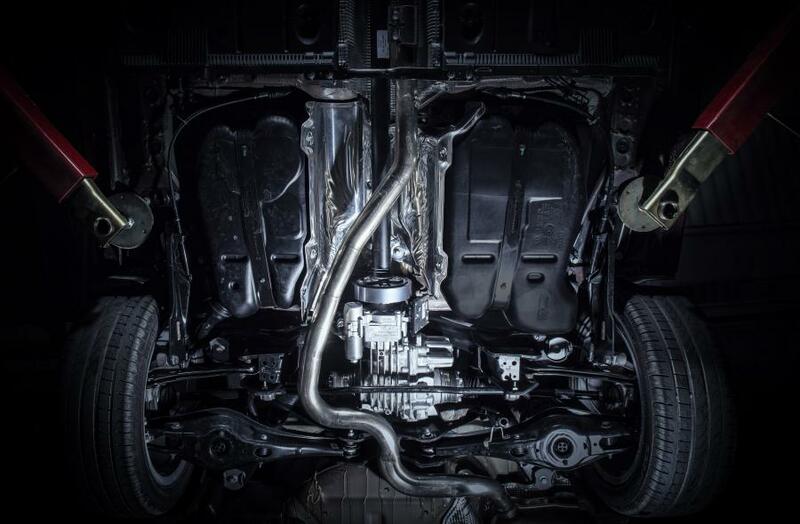 The chassis features a dedicated rear axle with different suspension ratings and specific insulation to ensure the same level of comfort as on the two-wheel drive versions. The total weight is only 124 kg more on this model, while no changes have been made to the cargo space volume, where even the spare tyre remains intact. 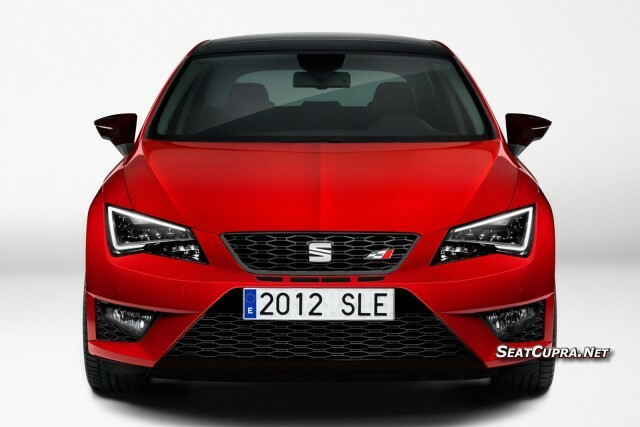 Two, latest generation TDI engines have been selected to drive the new SEAT Leon ST 4Drive. The choices are the 105 PS 1.6 TDI CR and the 150 PS 2.0 TDI CR. Besides their exceptional efficiency and outstanding performance levels, both engines are ideal for the added needs of the intelligent all-wheel drive system. Their high torque allows them to deliver virtually the same performance, consumption and emissions as the two-wheel drive versions. 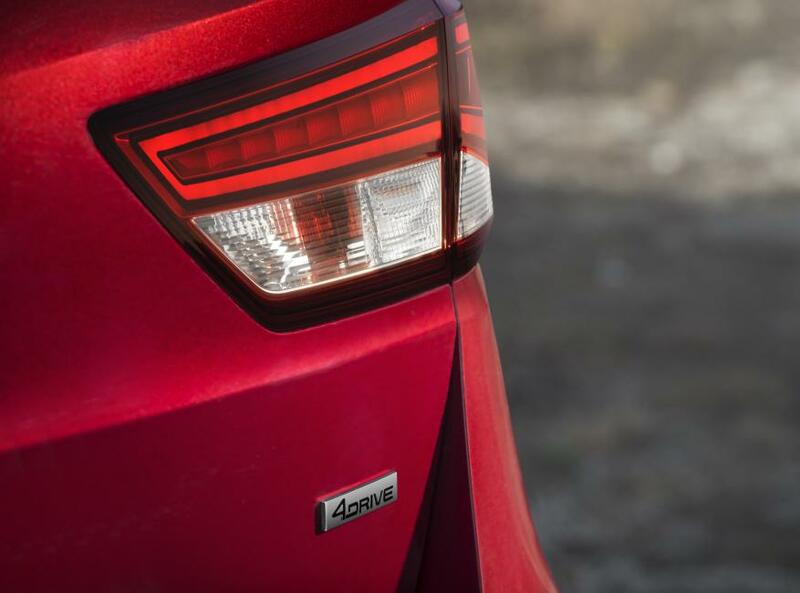 With a maximum engine torque of 250 Nm, the 1.6 TDI engine has an output of 105 PS, and its figures for acceleration and top speed stand at 12.0 seconds and 187 km/h. It consumes only 4.5 litres on average for every 100 kilometres of driving. Unlike the two-wheel drive versions equipped with this engine and a five-speed gearbox, the 4Drive models feature a six-speed manual gearbox that is more fitting for the heightened demands of all-wheel drive. The 1.6-litre belongs to the latest generation of TDI engines, with features such as an under-bonnet exhaust-gas treatment, innovative thermal management with separate cooling of engine block and cylinder head, and charge-air cooling integrated into the intake manifold. Furthermore, the internal friction of the engine has been further optimised – a key factor in the continued improvement of efficiency. Proof of this is the CO2 emission figure, which stands at only 119 g/km. The 2.0 TDI CR with 150 PS and a maximum torque of 340 Nm, mated to a six-speed manual gearbox, provides the new SEAT Leon ST 4Drive with impressive propulsion. The acceleration time to 100 km/h is 8,7 seconds, while the top speed stands at 211 km/h with an average fuel consumption figure of only 4.8 litres per 100 kilometres. The 2.0 TDI is from the very latest engine generation with intelligent thermal management and reduced friction. Two balance shafts ensure even smoother running. This engine also features a reduced emission rate of only 124 g/km. 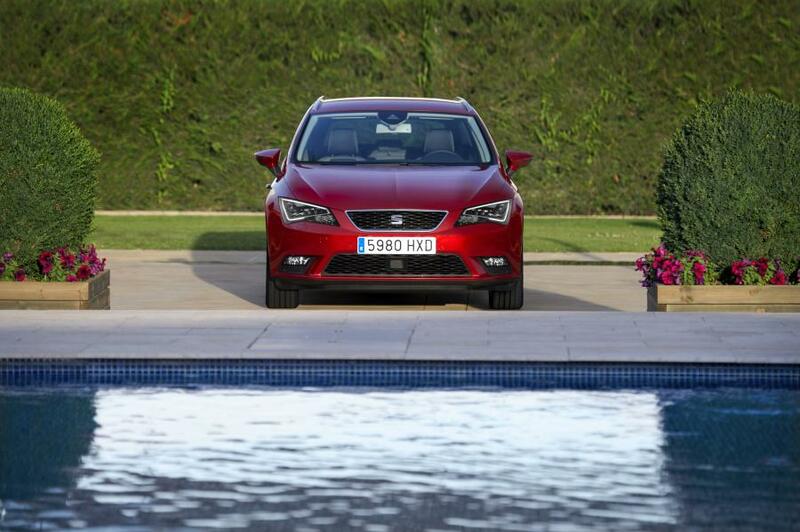 One of the most significant aspects of the SEAT Leon ST is its harmonious yet exciting proportions. It perfectly combines the dynamics of the rest of the range, but with the addition of an even more spacious and functional interior. It is the perfect vehicle to accommodate the 4Drive versions equipped with all-wheel drive. 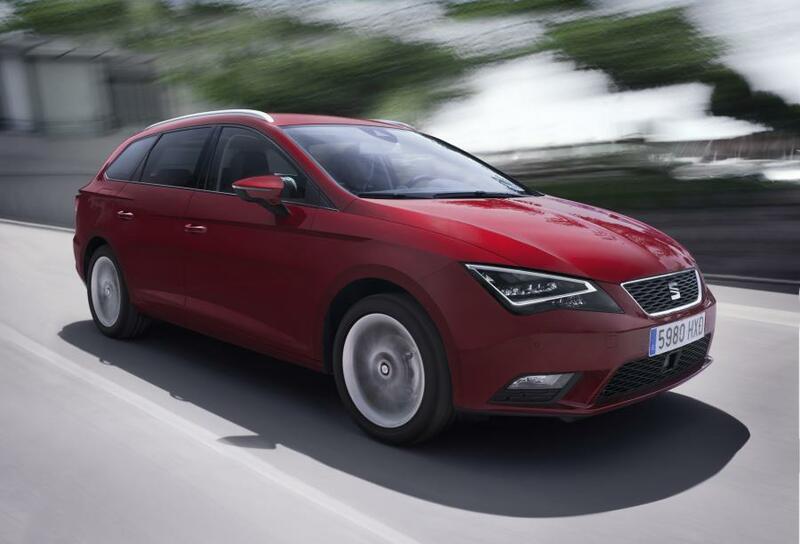 The side view of the SEAT Leon ST 4Drive displays a balanced relationship between metal and glass surfaces – the vertical proportion of glass tobodyshell is one to three. This clear division accentuates the solidity and underscores the refined stance of the car. The slight taper of the side window surfaces towards the rear emphasises the feeling of spaciousness, which can be further enhanced by the optional panoramic glass roof. The standard roof rail accentuates the gentle tension of the roofline. The extra 27 centimetres added to the rear bring the total length to 4.535 metres and point towards the generous luggage space within, while the low rear windscreen and muscular shoulders emphasise the car’s dynamic character. As previously mentioned, despite the addition of all-wheel drive to the 4Drive versions, they are still exceptionally spacious and functional. The load capacity stands at 587 litres, rising to as much as 1,470 litres with the rear seat backrests folded. Furthermore, certain models can also accommodate extra-long loads by folding the front passenger seat backrest, giving a maximum length of 2,67 metres. 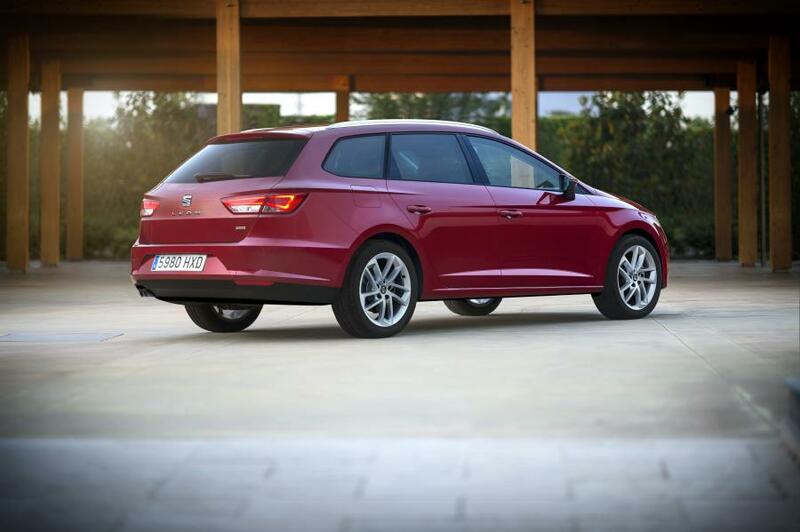 The new SEAT Leon ST 4Drive models are easily recognised by the specific logo mounted on the gear knob and the model identification on the rear hatch. 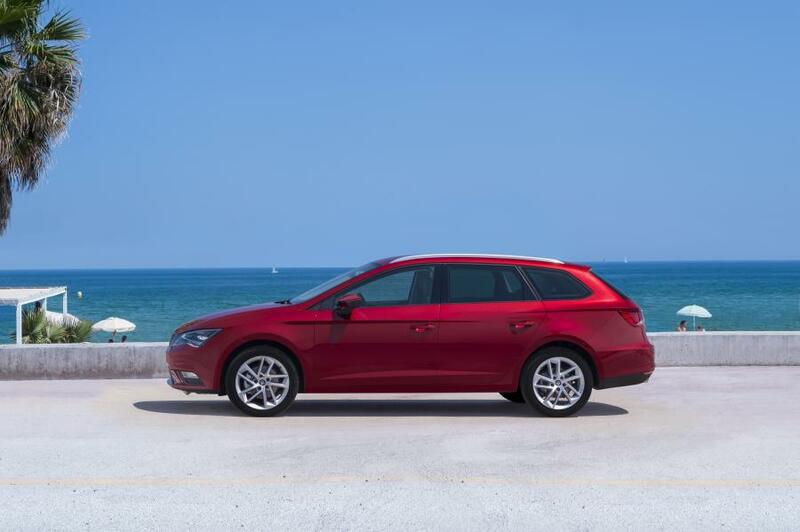 The SEAT Leon ST 4Drive is available in three versions – the model equipped with the 1.6 TDI engine displays Style trim, while the 2.0 TDI powered versions are appointed either with Style or the sporty FR trim levels. Each Leon ST 4Drive Style features a complete list of standard equipment that includes seven airbags (2 front, 2 side, 2 headbags + kneebag), ESC, XDS, ABS + ASR, passenger airbag deactivation, tyre pressure sensor, hill hold control, Isofix and Top Tether anchoring points in the rear for child seats, multifunction steering wheel, cruise control, dual zone climate control, cornering foglights, Media System Colour car stereo (with 5 inch color touch screen, Bluetooth connection, connector unit for USB/Aux-in, SD card, CD drive and six speakers), front and rear power windows, trip computer, driver and front passenger fasten seatbelt warning, lights on warning, remote controlled central locking, Coming Home, daytime driving lights, shift indicator, front and rear armrest, 16 inch alloy wheels, spare tyre, height adjustable driver and front passenger seats, driver seat with lumbar adjustment, electric heated door mirrors, interior chrome inserts, centre console with built-in storage, cupholder and rear facing vent, storage drawer beneath driver seat, front and rear reading lights, chrome roof rails, Easy folding system, bag hooks in the boot, double load floor, 2 side mesh storage nets, 2 elastic straps and rollaway boot tray, among others. The range’s sportiest FR version builds on Style equipment with rear LED stoplights, SEAT Drive Profile, which allows the driver to adapt the power steering, engine response and multicolour interior ambient lighting on the front door panels to suit driving conditions – red for Sport and white for Comfort and Eco, among others, front Sport seats in imitation leather and fabric, dedicated FR suspension, dark glass, front reading lights with illuminated footwells, 17 inch alloy wheels, leather clad multifunction steering wheel with FR styling, 2 additional speakers, electric heated wing mirrors with parking position and front aluminium moulding doorways. 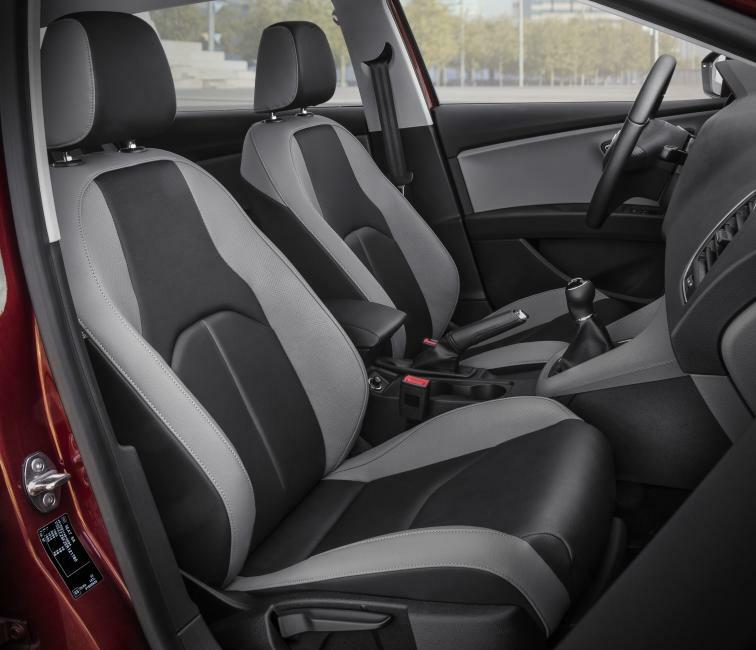 In addition to the standard equipment, there is also a wide range of safety and comfort options available for the new SEAT Leon ST 4Drive. They include full LED headlamps, electric panoramic roof, light and rain sensors, front and rear parking sensors, the SEAT Sound System and the navigation system.